Cosy restaurant with a fine selection of starters, cold-cuts, cheeses and greats wines. Caramelized goat’s cheese with salad dressed with blueberries sauce and balsamic vinegar, stewed Octopus served with fennel and salad seasoned with zucchini and mint, tuna Carpaccio, Seabass Ravioli (Italian pasta) with tomatoes and shrimps sauce, roasted calf with leek and potatoes pie and then coffee “semifreddo” (Italian dessert), tiramisu, buffalo ricotta mousse with mango fruit salad: these are only some of the amazing dishes served at “L’Angolino” wine shop. We are in Charlottenburg, west of Berlin, most precisely on Knesebeckstraße 92. All homemade recipes come from a long experience and tradition. Our specialty? Sardines “in saor”, a typical Venetian dish that brings out the flavour of sardines seasoned with sweet and sour onions cooked in vinegar and oil. Don’t forget to taste also our Italian cold cuts and cheeses, we are talking about exclusive products like “Robiola 3 Latti” (Italian cheese made with cow, goat and sheep milk), Sopressa (an Italian aged salami) from Friuli made by Lovison, prosciutto (Italian dry-cured ham) San Daniele Riserva and much more. Claudio is from Jesolo, near Venice; in 1986 he moved to Berlin with his brother Antonio and his wife Jutta. 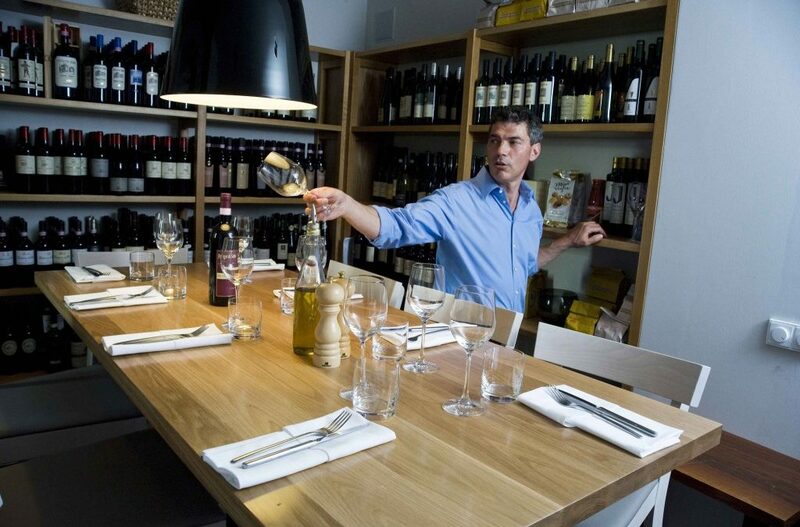 In Berlin they opened “Il Calice”, that has represented for 20 years a hot spot for the good wine in the city. Then Claudio decided to open his own wine shop and now his daughter Giulia is helping him with managing “L’Angolino”. Giulia is a first level sommelier, she inherited this passion from her father and she shares with him the dedication to choose and select the right combinations of wine and food.